The SCADA World Summit series of conferences are held in different parts of the world. Jim Baker, a WITS Governance Committee member and member of the DNP3 Technical Committee, was invited to present at the 2018 conference in London. 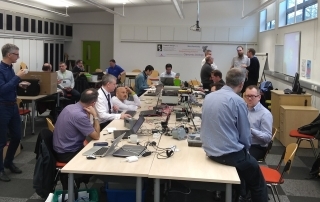 Following the successful WITS Plugfest in January 2018 (see the article on the WITS website ), I would like to invite you to the next WITS Plugfest hosted by Thames Water in Reading on Tuesday 9th October 2018. NI Water Telemetry provides monitoring (and in some cases control) of approximately 4,500 clean and wastewater assets. Telemetry not only provides alarm annunciation, local monitoring and control but also provides regulatory and operational data. There is a reliance on accurate and timely data being provided for business, operational purposes and for the security of customer water and wastewater facilities. There are a number of comments and PSAC “tickets” that have been raised because of errors or misunderstandings with the contents of the Application Notes. This TB adds clarification comments and corrections to the Notes and the Test Specification. 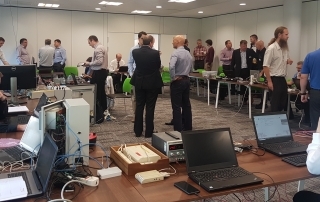 Following increased interest from industries other than UK water in the WITS DNP3 protocol, the WITS PSA has decided to broaden the coverage of WITS from “Water Industry Telemetry Standards” to “Worldwide Industrial Telemetry Standards”. Consequently, the WITS logo has been updated to reflect this change as shown below and on our updated website.